30 million sales worldwide, double BRIT Award winners and international movie stars – and now the world’s biggest pop band, One Direction, can add the incredibly proud achievement of helping to raise over £2million for Red Nose Day 2013 to their list of accolades. The band’s legion of fans made sure the boys hit this amazing total, by buying their official Red Nose Day single, and supporting their many fantastic fundraising efforts. “We just want to say thank you to our fans for their generosity. They never cease to amaze us. We’re so very proud of our involvement and knowing that this money will make a real difference is the best part of what we do. Please continue to support Comic Relief and do what you can for this incredibly important cause. Love Niall. X"
Their Red Nose Day single “One Way or Another (Teenage Kicks)”, a mash up of Blondie’s and The Undertones’ 1978 smash hits, topped the charts in 63 countries in its first week of release, and to date has raised over £850k for Red Nose Day through single sales. The band made an emotional visit to Ghana in January where they met desperately sick young children suffering from a range of life threatening diseases, some of which could have been prevented by a simple £4 vaccine. £1 million was donated to Red Nose Day as a result of the films from this trip which were broadcast during “Let’s Dance for Comic Relief”, “Graham Norton’s Big Chat” and within the first hour of the Red Nose Day Night of TV on BBC One. Aside from the single, the band also inspired their fans to exchange screams for buttercream and bake cakes to raise cash for the campaign. Armed with cupcakes and icing, Harry headed in to the kitchen to create an array of Red Nose Day themed cakes to highlight just how easy it is to fundraise for Red Nose Day. Meanwhile, band mate Niall took part in a sponsored silence whilst Louis threw himself into the Comic Relief spirit on Red Nose Day itself by dressing up with red hair dye to do something funny for money. The boys also helped the cash roll in by donating the clothes they wore in Africa and their outfits from the first performance of the single at the BRIT Awards to Comic Relief to sell through eBay as part of the #1D4RND Twitter campaign. 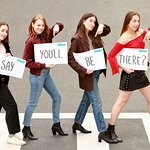 Fans also had the opportunity to bid for places for access to the band’s suite at their O2 concerts, t-shirts signed by the band and exclusive One Direction PEZ sweet dispensers. Furthermore, the official Red Nose Day music video featuring Prime Minister David Cameron, the BRIT Awards performance and the boys’ video diaries captured during their trip to Ghana were all available to purchase from iTunes. 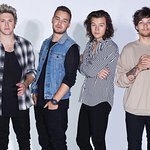 One Direction waivered 100% of the royalties from the single, as did Sony and iTunes, and the band did not receive any payment in connection with the official Red Nose Day single. The UK Government covered the cost of the VAT on the single sales through a donation from DFID, effectively ‘giving back’ the VAT.